Consumers have high demands; they expect companies to understand their needs and deliver products and services at the right price quickly and conveniently. This is not news to brands. After all, customer experience is the new “battlefront,” according to Gartner. However, a report by Acquia, which surveyed over 5,000 consumers or roughly 1,000 respondents from each country, suggests that brands are missing the mark. Meanwhile, consumers have little patience for poor experiences. I don’t remember when a brand exceeded my expectations. When I have a bad experience with a brand, I move on. So, what does this mean for brands? As this study and other research suggests, customer experience has stagnated. As more and more companies compete on customer experience, what was once considered innovative is now table stakes. When was the last time you were wowed by a retailer that offers buy online, pick up in-store options or the ability to complete a purchase from your phone? Indeed, as we learned from our own study, leaders are becoming more critical of what it means to be a customer-centric organization and in fact, fewer leaders claimed that their organization was customer-centric in 2018 compared to previous years. 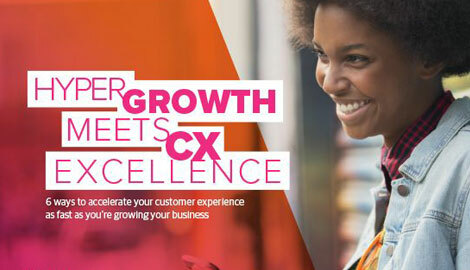 While there isn’t a fast and easy solution, the following tips can help companies get on the right path to aligning their customer experiences with consumer expectations. 2. Let the customer lead – It may seem obvious, but customer insights are helpful for making decisions that affect customers. However, only 35 percent of executives said they had been studying digital customer behavior as an indicator of which technologies to invest in, according to a report by Brian Solis, principal analyst at Altimeter, a Prophet company. Companies are “making investment decisions without necessarily understanding or having access to the data that would guide it,” he says. 4. Know when to ask for help – Unless your organization is consistently up to date on the latest best practices in customer acquisition, success, growth, and trust and safety services, consider whether an experienced partner can provide fresh ideas and solutions for keeping your customers satisfied. Consumers today have more options than ever and have high expectations for engagement, responsiveness, and frictionless support. As a result, consumers are often unforgiving when their expectations aren’t met or their trust is betrayed. Therefore, the sooner business leaders understand that what they consider a good experience may not look that way to the customer, the sooner brands and customers can begin talking to each other—rather than at each other.